My sister got Ryan and I a Yonanas for our wedding….She knows us pretty well! And while I don’t believe in baking “healthy” desserts with a ton of ingredients that really shouldn’t be consumed that way or in that quantity, I am a fan of SIMPLE, healthy desserts that minimally process the foods they use. So last night we tried out the Yonanas. I was nervous to use it because I didn’t want to be disappointed after seeing it turn frozen fruit into very creamy “frozen yogurt” on the TV. And I must say…The Yonanas didn’t disappoint! Yesterday was a carb day and I wanted to end it with a nice sweet and healthy treat, especially after our 4 mile walk on the beach. So we pulled out the frozen banana pieces Ryan had put in the fridge days before and some frozen raspberries and 70% dark chocolate. Take the frozen ingredients out of the freezer and let thaw for a minute. They work a lot better if not completely frozen solid. 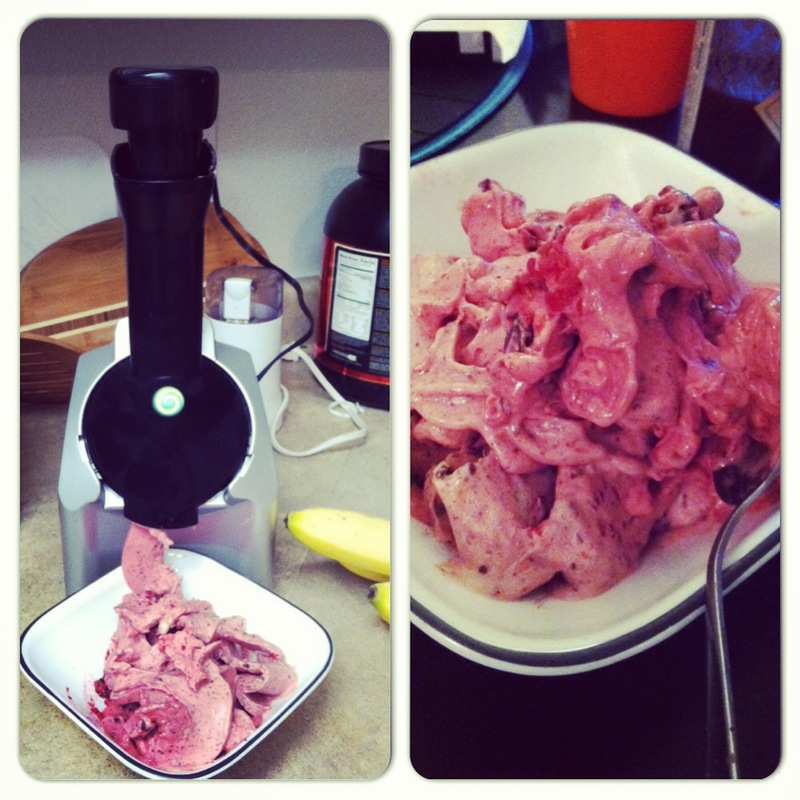 Add one quarter of the banana to the Yonanas with a few of the raspberries and some small chunks of chocolate. Turn on the Yonanas and press the ingredients through. Continue adding more alternating bananas, raspberries and chocolate until it is all gone. Make sure that as you add the chocolate, you’ve already broken it down into smaller pieces. After you’ve Yonana-sized it all (my new word for processing all the ingredients), give it one good stir and enjoy. It literally is the creamy texture of frozen yogurt! Can’t wait to try out some really fun flavors. Look for a pumpkin and a coffee one coming soon! Posted on October 18, 2013, in Recipe Box and tagged banana raspberry chocolate chunk ice cream recipe, healthy desserts, homemade ice cream, yonanas recipes, yonanas review. Bookmark the permalink. 5 Comments. 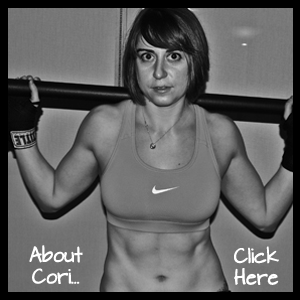 I loved using the yonanas last year – Not sure why I stopped. Maybe because winter came and then I just forgot. That recipe you posted looks really good! So the raspberries are supposed to not be frozen? That would explain why I had problems making non-banana yonanas last year. Oh no the raspberries were frozen too! Oh ok, in that case I just better use bananas in every recipe along with the other fruits – Using frozen fruits like berries alone doesn’t end up with the right consistency usually.